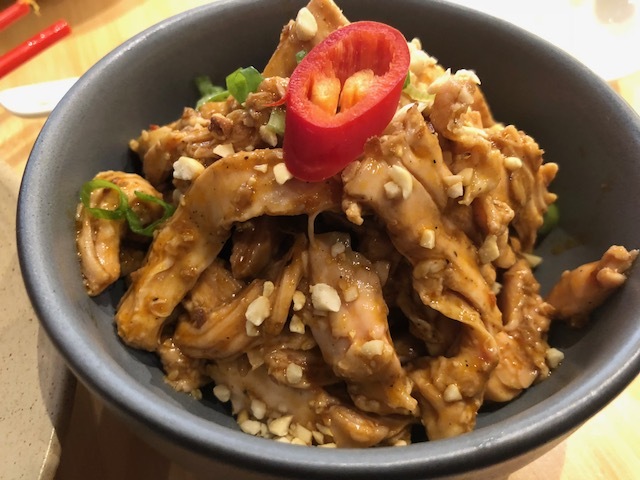 NYC has seen a serious influx of new Chinese spots in recent years. Restaurants once confined to Chinatown have been popping up in all new neighborhoods like Jing Fong in the Upper West Side, Tim Ho Wan in Union Square and my new favorite, Pinch Chinese in SOHO. This sleek spot on Prince Street is run by a former chef from Din Tai Fung, a Taiwan based restaurant that earned Michelin stars across the globe for its addictive Xiao Long Bao. 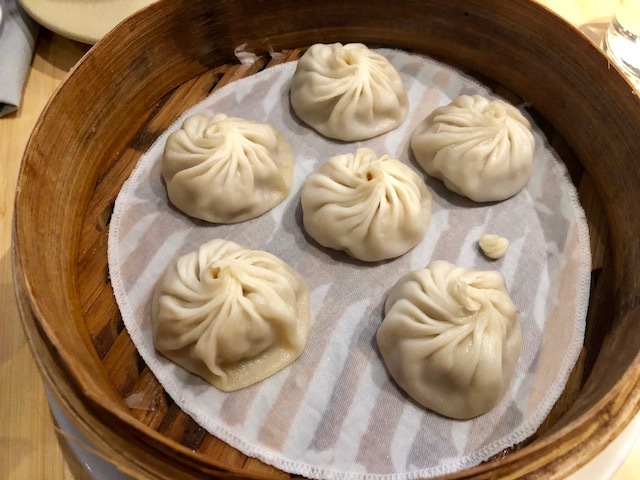 These soup dumplings are much smaller than most, almost bite sized with a thin exterior of dough that somehow manages to stay perfectly intact. Inside a mix of pork and seafood soup that's rich and satisfying without that fatty shine of most soup dumplings. These were absolute perfection; I've never enjoyed xio long bao as much as these little pouches of goodness. 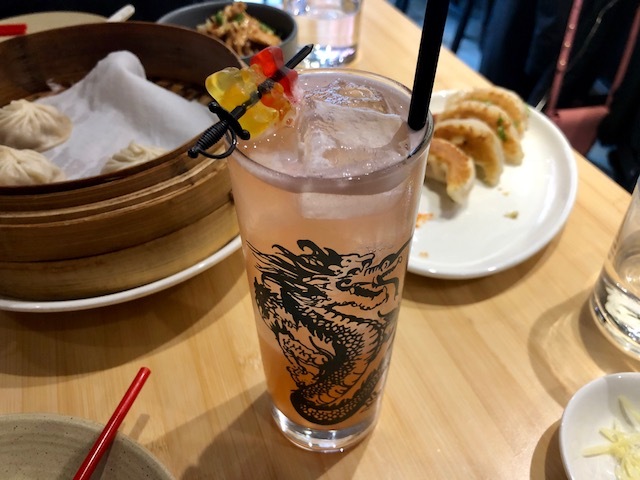 ...and a large array of specialty cocktails like the Gummi Bear with baijui, pineapple and cardamon that actually tastes like drinking a liquid Gummi Bear (not something I suggest). Along with the SOHO location and nontraditional dishes come some nontraditional prices. Soup dumplings are six to an order for $10 while the Bacon, Egg & Cheese Dumplings are a hefty $12; not exactly cheap eats but something I'm willing to pay once in a while for such dumpling perfection. I’m disappointed they don’t have at least one vegetarian tofu dish on the menu..! Although the whole point of going for me was for the mushroom dumplings. 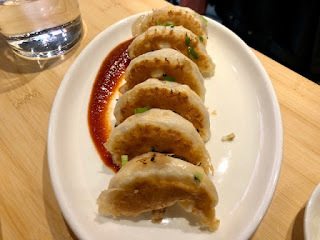 I had the *life changing* mushroom dumplings at Din Tai Fung in china and figured if these were half as good they were worthwhile- and they are fantastic! Not exactly what i recall from din tai fung but certainly the best in all of NYC. You can really taste the truffle- not tryffle oil,ick- and the skin is so thin and delicate. I forgot about wanting a tofu dish and just ordered more mushroom dumplings..! !